I started and ended this episode not liking, trusting or believing Alderman Blood…but somewhere in the middle there, for a brief second, he didn’t seem quite so bad. Sebastian Blood has always presented himself as an adversary to Oliver, even when Oliver is trying to help. 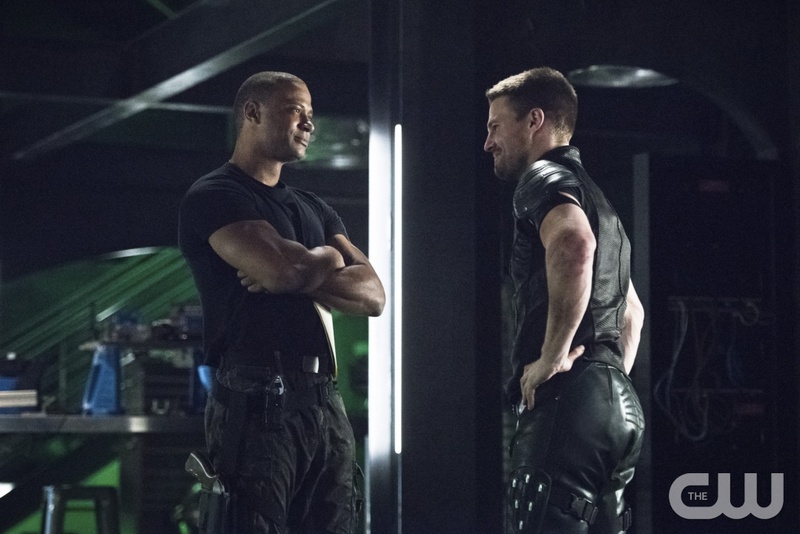 From insulting him at the gala last week toÂ assuming he suggested the Cash for Guns program for personal gains, this guy clearly has it out for Oliver. However, when he told him the above, I thought that there was a chance that this guy might understand and know more than he lets on. And boy does he! The final scene showed us that Alderman is far from the savior he pretends to be, donning a mask, calling for soldiers and executing those who could reveal his true intentions as Brother Blood.Â Hopefully, more on that next week. But that being said, Alderman’s confession to Ollie really rang true when it came to our newest character, Sarah aka The Black Canary. 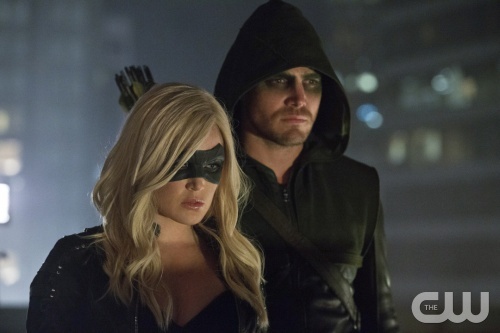 While I’ve long suspected Sarah was alive and would embody the Black Canary, I was still impressed with the big reveal whenÂ Oliver unmasked her true identity. And until the end of the episode, we didn’t realize the weight of these words. After his discovery, Oliver explained to Diggle and Felicity that he knew Sarah had survived the ship wreck (contrary to what he told the media)Â for he had seen her on the island years later. However, he chose to keep to himself howÂ he saw her, where he saw her and why he saw her, only revealing that he also watched her die. Or so he thought. In a heartbreaking scene, he promises to keep her secret, even as he questions if that’s what she really wants, and eventually taps her to help him bring down the gun smugglers. I like that Oliver has another ally he can turn to, but as we saw in his conversation with Alderman, this secret weighs on him. So when he approaches Sarah in the hospital (time out: is it just me or does it seem a little crazy that she can walk around with just a baseball cap and assume no one will recognize her?! 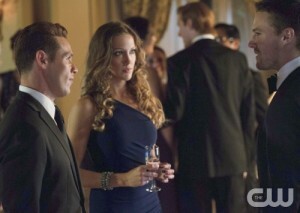 Okay, time in), he begs her to tell her family the truth, even though it will inevitably ruin his friendship with Laurel. Sarah: We died on that island. Oliver: No, we didn’t, we both lived. And I get that you’ve been in pain so long that it feels normal now but you can let it go and come home. Oliver may have grown stronger from his crucible but Sarah has chosen to stay in hers rather than face the alternative. And while we still know little about Sarah’s island experience, it’s clear that she’s been through hell and back…or at least she better have considering that our final island flashback reveals that she is in fact the one on the ship whoÂ is assigned toÂ torture Oliver! What?! I did not see that coming. And to be honest, with so many questions left unanswered — Why does she work for the ship people?! How does she know Slade?! Is this all just a clever ploy and she’s really a good guy? !Â — I’m sure next week will take itÂ in another unexpected direction. Not one big reveal, but two in one episode…this show has so many great twists and turns and I can’t wait to get more of the truth about our newest characters next week.